A Riverdale is obviously an ideal gift to give when someone is moving or has bought or rented a new house. We get many nice reactions of our customers about our products Riverdale. Many of these comments are about products that dienen.Verwen as gifts your family, friends or acquaintances with a gift certificate from Riverdale trendy brand Riverdale. The lucky recipient can own the desired Riverdale home accessory gift pick from a wide range of Riverdale. Riverdale has a wide range of home accessories and this collection is renewed every six months with hundreds of products. Because the interior is very personal receiver can shop around what is best for that person. The Riversdale is an ideal gift to give. A Riverdale gift certificate course is a perfect gift to give when someone is moving or has bought a new home or rented. 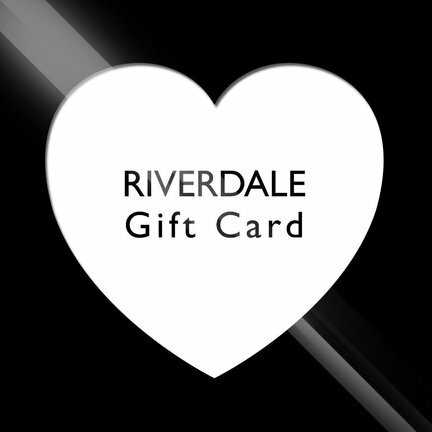 The gift of Riverdale will certainly be satisfying. The gift is to be ordered in various values and is always packed luxury. How does the gift certificate? The products ordered in our shop are always transmitted immediately with the highest service. You're a little late to order a gift certificate? Select at delivery options for added pick early. You can then pick up the gift certificate early in the morning at the desired postnl collection point. You can also send the gift directly to the recipient, we do this course to join without an invoice.